The New Jersey Pedestrian/Bicycle Safety Coalition (NJPBS) is hosted by the Brain Injury Alliance of New Jersey (BIANJ) and funded by the New Jersey Division of Highway Traffic Safety (NJDHTS). The vision of this coalition is to move towards zero deaths on New Jersey roadways. Who we are: Stakeholders from the field of transportation advocacy, non-profit organizations, and government agencies seeking to promote safe roads, prevent injuries, and reduce deaths among pedestrians, bicyclists and other vulnerable roadway users. To download a PDF version of our Resource Directory, please click here. Agency overview: For more than 110 years, AAA has been the champion for motorists by advocating for better roads and safer travel. Today, more than ever, the AAA is committed to that promise on behalf of our 2 million New Jersey members and the traveling public. The AAA Foundation for Traffic Safety is a not-for-profit, publicly supported charitable research and education organization dedicated to saving lives by preventing traffic crashes and reducing injuries when crashes occur. For 70 years, the Foundation has been true to its mission to prevent traffic deaths and injuries by conducting research into their causes and by educating the public about strategies to prevent crashes and reduce injuries when they do occur. Presentations delivered and shared, professional trainings, handouts, giveaways (Traffic Safety Materials Brochures) and community events. Agency overview: AAA Northeast offers traffic safety programs for all ages: CPS, bicycle safety, pedestrian safety, teen driver safety, senior safety, motorcycle safety, senior safety, Driver Improvement Course, CarFit. All services are free of cost except Driver Improvement Program (Defensive Driving Course). Services available: Presentations delivered, handouts, giveaways and community events. Agency overview: BIANJ is a statewide nonprofit organization dedicated to support and advocate for individuals affected by brain injury and raise public awareness through education and prevention. We offer transportation safety programs on pedestrian, bicycle, motorcycle and car safety, which includes occupant protection, speeding, teen driving safety and distracted/impaired driving. Additionally, programs on concussion and falls prevention are available. BIANJ maintains a strong voice in Trenton and Washington and supports legislation that improves safety and advocates for individuals with brain injury. We also offer support services for people impacted by brain injury including support groups, care coordination and a weeklong respite camp. Services available: Presentations delivered and shared, professional trainings, handouts, giveaways and community events. Agency Overview: Cross County Connection is a non-profit Transportation Management Association (TMA) providing transportation-related services in New Jersey’s seven southern counties, including the counties of Atlantic, Burlington, Camden, Cape May, Cumberland, Gloucester and Salem. Since 1989, Cross County Connection has been working with businesses, communities, and commuters to provide solutions for transportation problems in southern New Jersey. Cross County Connection TMA was formally incorporated in 1989 through the efforts of a group of southern New Jersey business leaders, local government officials, and representatives from the New Jersey Department of Transportation (NJDOT) and New Jersey Transit Corporation (NJ TRANSIT) to address mobility issues in the region and reduce the number of vehicles on state and local roadways. Today, Cross County Connection provides solutions to complex transportation problems for counties, municipalities, employers, and commuters in its seven-county region. Services Available: Presentations delivered and shared, handouts, giveaways and community events. Additional Information: Commuters, municipalities, county governments, employers and the general public all benefit from Cross County Connection’s work in seeking and providing viable transportation solutions for the southern New Jersey region, and encouraging safety in every transportation-related endeavor. Commuters and the general public benefit by using us as a centralized source of valuable information on joining carpools or vanpools, using trains, shuttles or buses, commuting by walking or biking, and finding timely traffic or roadway construction alerts. We also are heavily involved in the safety aspects of commuting – whether by motorized vehicles, biking or walking. And we also work directly with school age children in New Jersey’s Safe Routes to School program. 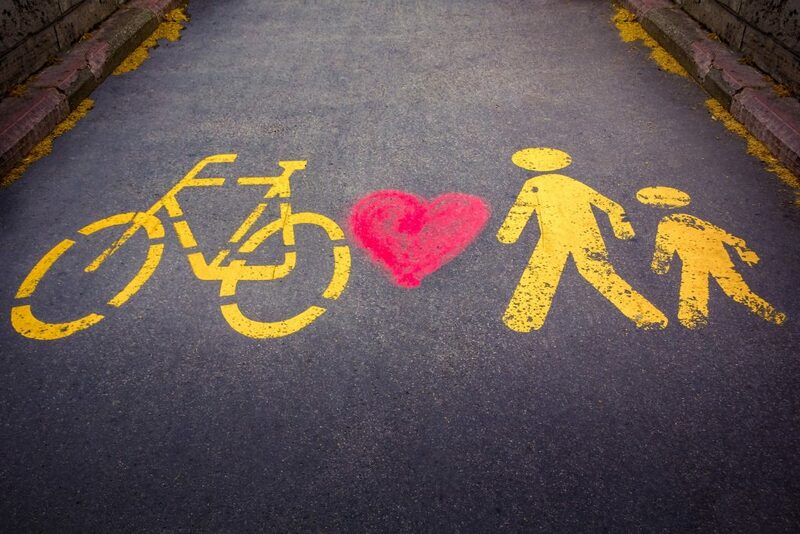 The New Jersey Department of Transportation has partnered with Cross County Connection TMA to administer a statewide bicycle and pedestrian education and encouragement program. Safe Routes to School (SRTS) is a federal, state and local effort to enable and encourage children in grade K-8, including those with disabilities, to walk and bicycle to school. SRTS facilitates the planning, development and implementation of projects that improve safety and air quality, as well as reduce traffic and fuel consumption around schools. Agency overview: EZ Ride is a non-profit, public-private partnership with a mission to implement transportation programs and services that enhance quality of life, regional mobility and economic opportunity while reducing traffic congestion & air pollution. The Bike and Pedestrian team offer Safe Routes to School (SRTS) services and works to build safe and healthy communities with schools, municipalities, police departments, scout groups, and senior centers. We deliver free 30-minute pedestrian and bike safety talks to teach safety rules & benefits of walking and biking for students and seniors. Presentations are visual, age-appropriate and interactive. We setup on-bike skill courses to teach starting, stopping, scanning, signaling, and turning and give out helmets for youth. We host an annual recognition event to acknowledge school and municipal partners who promote walking and biking. SRTS recognition awards give points toward Sustainable Jersey and SRTS grants. We can provide a guide and training about organizing groups of adult volunteers to walk/bike with kids to school in walking school buses/ bike trains. We work with schools and municipalities to assess walking and biking routes in walk audits and write travel plans that can be used for grant applications. We work with NJTPA and local police to carry out free Street Smart safety education and enforcement campaigns using their materials. Counties and Population served: Bucks, Chester, Delaware, Montgomery, and Philadelphia in Pennsylvania; and Burlington, Camden, Gloucester, and Mercer in New Jersey. Agency overview: DVRPC is the designated metropolitan planning organization serving the nine-county Delaware Valley region of Burlington, Camden, Gloucester, and Mercer counties in New Jersey, and Bucks, Chester, Delaware, and Montgomery counties, and the City of Philadelphia (also a county), in Pennsylvania. Agency overview: goHunterdon is a 501c3 nonprofit organization dedicated to promoting sustainable transportation in Hunterdon County, NJ. goHunterdon is one of New Jersey’s eight Transportation Management Associations (TMAs) providing a variety of programs and services, free of charge, to encourage safe walking and bicycling. goHunterdon coordinates the Hunterdon County Safe Routes to School Program (NJDOT), Street Smart NJ pedestrian safety education campaigns (NJTPA) and supports the NJ Division of Highway Traffic Safety (NJHTS) to promote safety messaging to drivers, pedestrians and bicycles in Hunterdon County. Services available: Presentations delivered and to share, handouts and giveaways, community events, professional trainings, safety education presentations, conduct bicycle rodeos, helmet fittings, event coordination, community walk/bike audits, develop walk and bike to school policies and travel plans, and related support and assistance. Agency overview: The Hudson TMA provides many free programs which improve pedestrian, bicyclist and motorist safety for children and adults of all ages. Hudson TMA partners with schools, community organizations, local and state agencies, employers and municipalities. The TMA also works to reduce traffic, lessen carbon emissions and enhance mobility. All of the TMA’s programs support residents, commuters, employers and travelers throughout the twelve municipalities of Hudson County. Learn more about our services at www.hudsontma.org. Agency overview: Keep Middlesex Moving is Middlesex County’s non-profit transportation management association. We have programs designed for pedestrians and bicycle safety. Agency overview: The New Jersey Bike & Walk Coalition (NJBWC) is the only state-wide advocacy organization for bicyclists and pedestrians. Our members include bicyclists and walkers from Ringwood to Cape May. We partner with clubs, advocacy groups, and local, regional, and state agencies. We are supported by a growing list of sponsors who share our goals. We are recognized by both the League of American Bicyclists and the Alliance for Biking & Walking as the state bicycle and pedestrian advocacy organization for New Jersey. The Coalition holds New Jersey’s statewide Bike & Walk summit each year, starting with the first summit in Denville in 2010. More information on the next annual summit can be found at https://njbwc.org/nj-summits/. Agency overview: NJDHTS develops state highway safety plans and coordinates the funding for state and local projects to reduce traffic fatalities, crashes and related injuries on New Jersey roadways. NJDHTS grants are available to all governmental and select non-profit agencies to provide funding for program development, implementation, and analysis on a year to year basis. Services available: Presentations delivered and shared, professional trainings, handouts, giveaways and funding for programs. To establish and advance cooperation in the police profession and provide guidance and educational techniques to accomplish the goals of the association. Agency overview: The New Jersey SRTS Resource Center assists public officials, transportation and health professionals, and the general public in creating a safer and more accessible walking and bicycling environment through primary research, education and dissemination of information about best practices in policy and design. The NJ SRTS Resource Center website has extensive resources related to policy, design, Complete Streets, Sustainable Jersey, training, educational programming, funding, and much more. The SRTS Resource Center is supported by the New Jersey Department of Transportation (NJDOT) through funds provided by the Federal Highway Administration. In coordination with NJDOT, the NJ SRTS Resource center works to support coordinators at the state’s eight Transportation Management Associations as they kick off SRTS programs and projects in communities throughout the State. To find your TMA SRTS Coordinator and to learn more about the free technical assistance they can provide, visit our website www.saferoutesnj.org. Services available: Presentations delivered and shared, professional trainings, handouts, giveaways, research and resources. Through our Safe Routes Academy, we offer hands on training on grant funding opportunities, bike education, pedestrian education, walk/bike audits, community travel plans, crossing guard best practice, policy, and Sustainable Jersey. Agency overview: NHTSA’S Mission: Save lives, prevent injuries and reduce economic costs due to road traffic crashes, through education, research, safety standards and enforcement activity. NJSACOP’s Mission: To Promote and enhance the highest ethical and professional standards in law enforcement at all levels throughout New Jersey. Presentations delivered and shared, professional trainings, handouts, giveaways and community events. Agency overview: One of nine modal agencies under the U.S. Department of Transportation, NHTSA saves lives, prevents injuries and reduces economic costs due to road traffic crashes, through education, research, safety standards and enforcement activity. Services available: Presentations delivered and shared and professional trainings. Serve in an ex officio capacity on working groups, advisory committees, etc. Agency overview: The NJTPA is the federally authorized Metropolitan Planning Organization for 6.7 million people in the 13-county northern New Jersey region. Each year, the NJTPA oversees more than $2 billion in transportation improvement projects and provides a forum for interagency cooperation and public input. It also sponsors and conducts studies, assists county planning agencies and monitors compliance with national air quality goals. 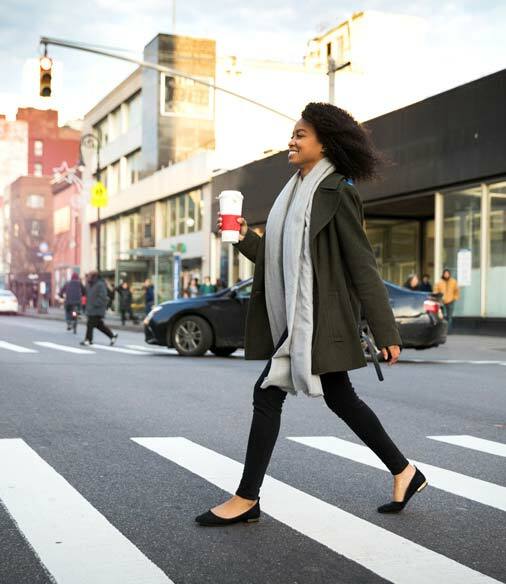 The NJTPA created and coordinates Street Smart NJ, a statewide pedestrian safety campaign that aims to change the behaviors that contribute to pedestrian-vehicle crashes. The Street Smart NJ program, under the NJTPA or any of the state’s eight Transportation Management Associations (TMAs) can assist communities interested in implementing a campaign. Services available: Presentations delivered, handouts and giveaways and assist communities in running a Street Smart NJ campaign. Agency overview: Safe Kids New Jersey, led by the Central Jersey Family Health Consortium and founded by Johnson and Johnson, is one of more than 400 grassroots coalitions in all 50 states, the District of Columbia and Puerto Rico that bring together health and safety experts, educators, corporations, foundations, governments and volunteers to educate and protect families. Safe Kids New Jersey is a member of Safe Kids Worldwide, a global network to organizations dedicated to preventing accidental injury to children in twenty-three countries. We know our efforts are needed because as many as 90 percent of accidental injuries can be prevented. Together with our statewide network of local coalitions, we educate adults and children; create safe environments; conduct research and advocate for effective laws. Key Risk Areas Addressed: motor vehicle crashes with children as passengers, pedestrians and bicyclists; drowning; fire and burns; choking; falls; sports injury prevention and poisoning. Agency Overview: TransOptions is the transportation management association (TMA) for northwestern, NJ. We serve all of Morris, Sussex, and Warren Counties along with some towns in Essex, Union, and Passaic Counties including Fairfield, Livingston, Millburn, Roseland, Short Hills, West Caldwell, Berkeley Heights, New Providence, Summit, Bloomingdale, Little Falls, Pompton Lakes, Ringwood, Totowa, Wanaque, Wayne, West Milford, and West Paterson. To download a PDF of the complete Resource Directory, please click here. Meetings are held quarterly. Contact us for information about location and date. when cycling, roller skating, in-line skating, or skateboarding. Become a smarter, safer DRIVER, too!